Steam turbine-drive is applicable to large tonnage chillers with an existing source of steam to meet process and space conditioning cooling requirements. You can estimate a likely payback period based on the natural gas and electric rates in your area using the Payback Calculator. 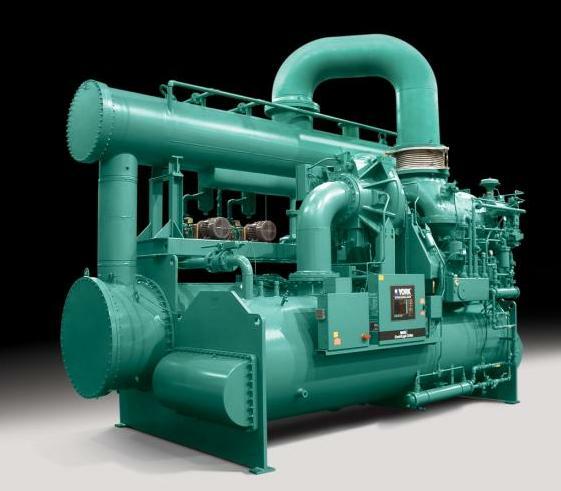 Steam turbine-drive chillers are turning up in some innovative cooling applications. The following case studies demonstrate what happens when gas technologies are applied to real-world situations. The following case studies require Adobe® Acrobat® Reader which is available here. York package of steam-turbine and electric chillers plus construction, project management and financing is just what the doctor ordered. College scores a win by using excess steam from its cogeneration plant to meet variable cooling load of its multi-purpose facility with electric and steam turbine drive centrifugal chillers.